Deborah decided to invest in my small business coaching programme to get a clear business plan in place for 2016/2017, to develop a strategy for communicating better with parents and potential customers – and to make changes to achieve a better work-life balance. Together we explored her business and personal vision and goals, brainstormed ideas for content and marketing, explored new business avenues and set regular monthly sessions in place to support Deborah to take consistent action and to have accountability for those actions. 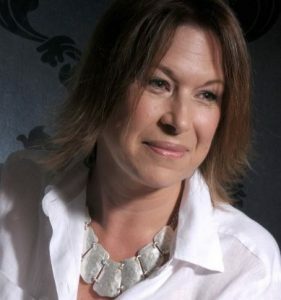 “I am just a different business owner from two years ago when I first begun working with Lucy. I have really achieved so much more than I ever thought possible. Her support and guidance has been the best. “Lucy really got the grasp of my business and helped me structure a plan and way forward in so many areas in 2016/7. She lead a superb planning session at the beginning. “I can be quite ‘driven’ and Lucy picked up on that right from the start. We really made the most of each 1 hour session AND her ‘aide memoire’ emails were a great help. They acted as a checklist for me and kept me on task and focused on the goals I had planned. “The accountability at each session was good too, because I needed someone to keep my feet to the fire. “I loved the Focus Form for pin pointing what I had achieved and still needed to do before our 1-2-1 calls. When I look back on them I am amazed at what I’ve achieved. the action notes email is great too – I have printed them off each time. “I just feel Lucy really got me and what I wanted to do. She also picked up on my periods of overwhelm and helped me to work through them in a realistic and logical way. 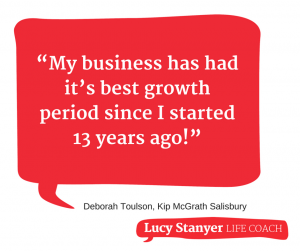 “Before I started coaching with Lucy, I was actually getting tired of being ‘in business’, but doing this coaching has given me a new lease of life and enthusiasm for the next stage of my life. “Through the coaching I have made some changes to my work-life balance. I manage my time much better and I’m realistic about what I can achieve in given timescales. I am less stressed and appreciate I have times of energy and times of reflection and rest. “I have realised that I can achieve a lot without so much stress if I just pace myself. I’m definitely less stressed and more relaxed about my current business and my new business. “Her free discovery call was a great way to introduce herself and for me to get to know her. We hit it off and I knew I could work with her. “Lucy is a great listener. She brings a new perspective on issues and make super suggestions that are achievable.